Style that'll leave you starry-eyed. 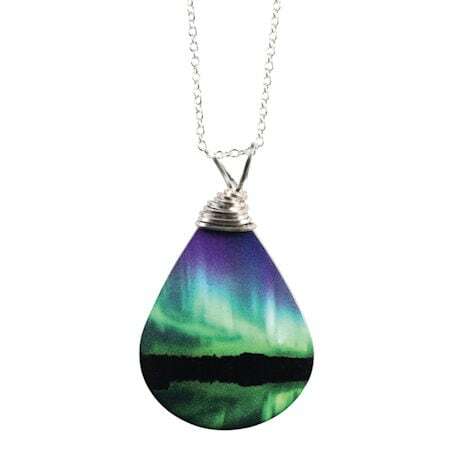 Dramatically depicting heavenly phenomena, these necklaces have glitter-accented featherweight pendants with photorealistic printing on thin stainless steel, each 2"x 1" pendant hanging on 18" sterling link chains with silver-plated copper wire accents. Handcrafted in USA; each will have slight variations due to handmade origins.